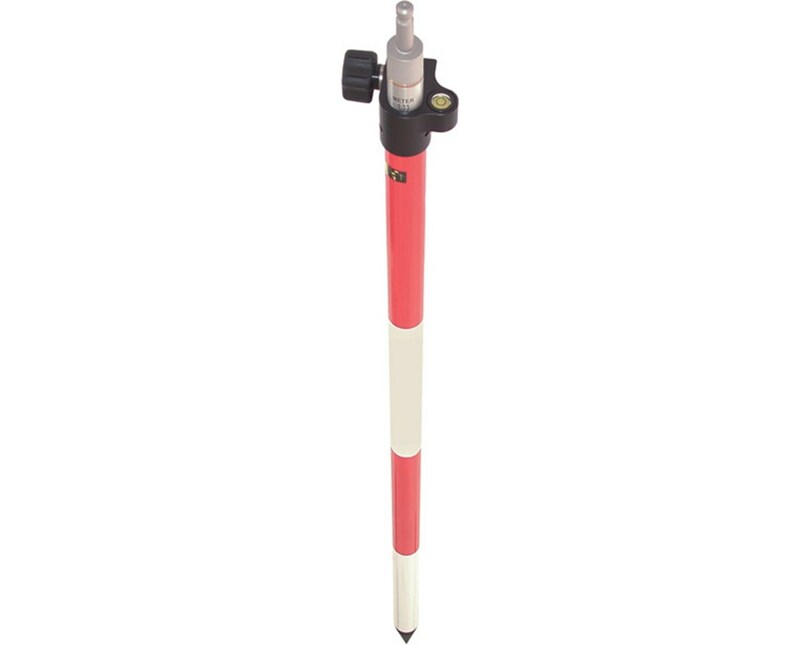 The Seco 8.5-Foot Swiss-Style TLV Prism Pole 5501-11 is a red and white, 1.25-inch diameter prism pole for surveying jobs. This prism pole features dual graduations in hundredths of a foot and centimeters with a Swiss-style adjustable tip. Its one adjustable section extends to 8.53 feet and collapses to 4.97 feet. And a soft, rubber knob loosens and tightens easily for quick adjustments in length. You can even manipulate the knob while wearing gloves. 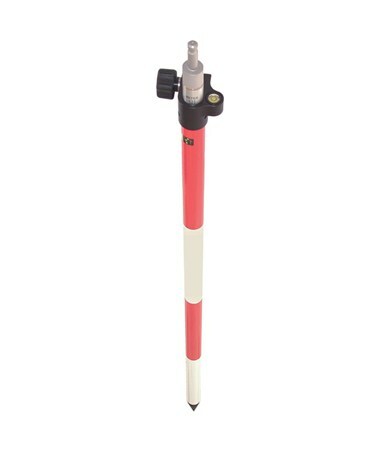 The Seco TLV prism pole also has a built-in level vial with 40-minute sensitivity that rotates around the pole to allow space for attaching other accessories. Powder-coated and silk-screened aluminum guarantees you years of wear-resistant performance.